Mr Rare Rims. He’s like a father to me from another car world. I first met him when I bought a set of lips for my BBS RS back in 2009. He was a collector and seller for some of the most hard-to-find wheels and parts, with collections including a set of mirror finish Mugen MF10 17″ – a dream wheel for plenty of Honda owners. So when I was about to rebuild my BBS RS for the Jazz at that time, I turned to him for helps. One day Mr Rare Rims told me that he’s been considering the purchase of a classic European car. 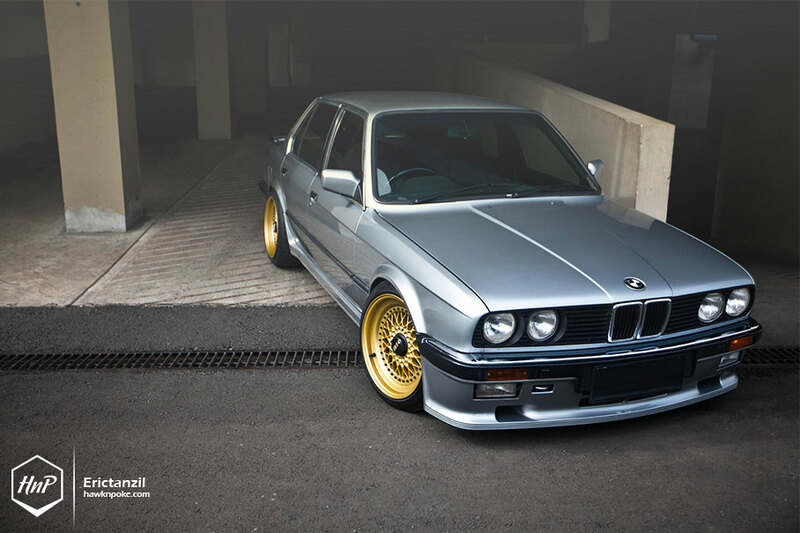 His choices at that time were the Mercedes W123 or BMW E30. 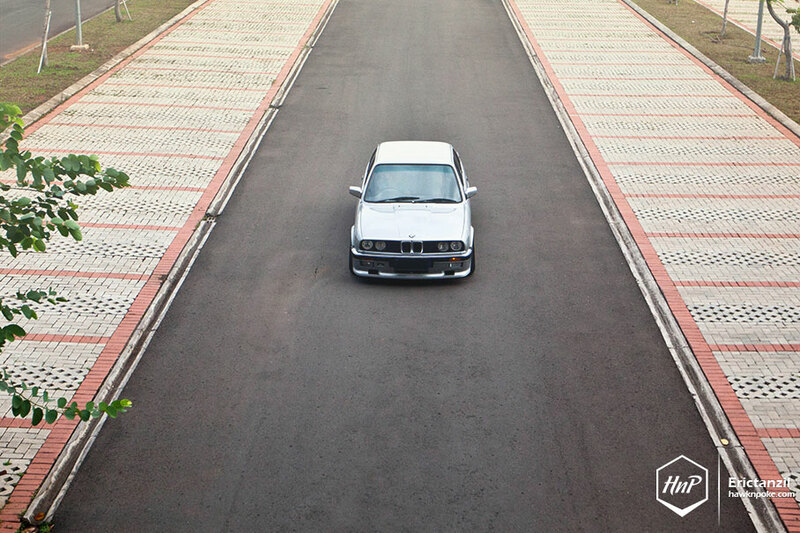 Being a diehard BMW fan, I immediately lured him into buying the E30, and so he did. About the same time he was looking for a good condition E30 to buy, a friend of mine was selling his. 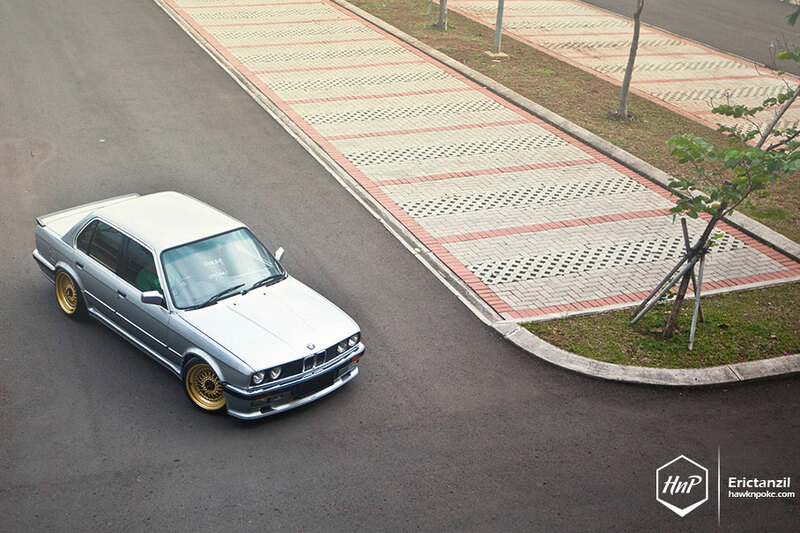 Mr Rare Rims offered him some wheels with cash on top as a trade for the E30. 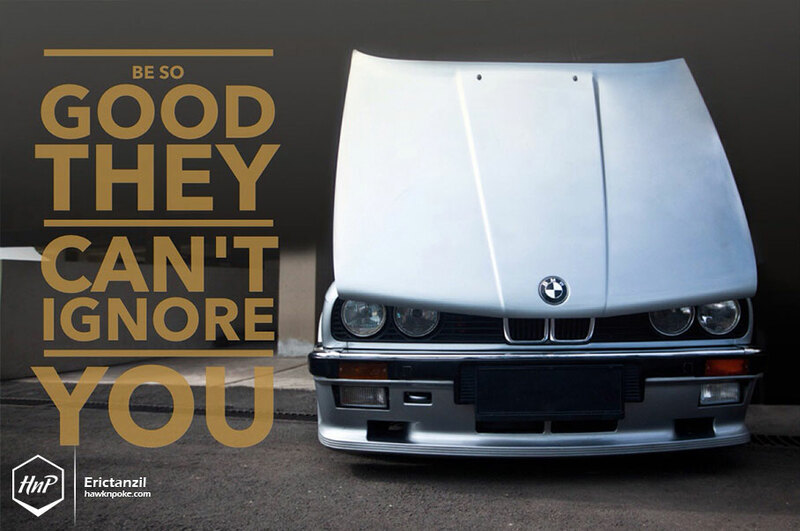 My friend agreed and so the great E30 build was started. 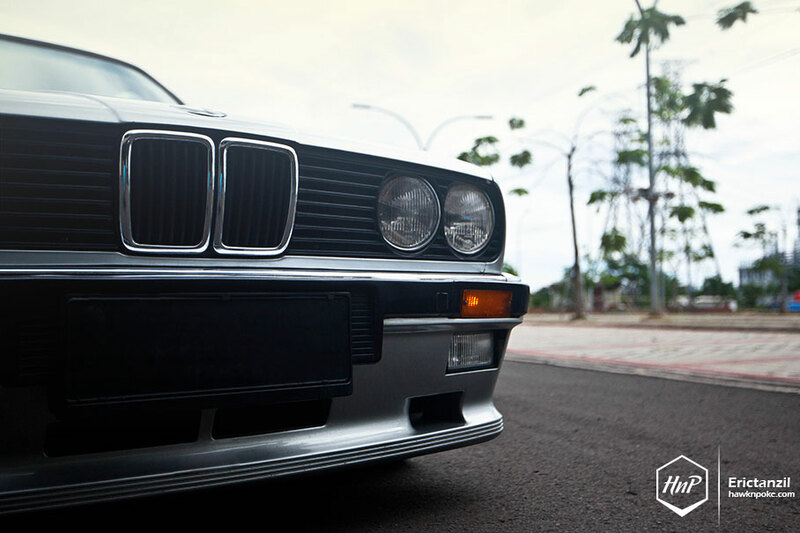 It’s a pre-facelift E30 model, which has been built with very neat attentions to detail. 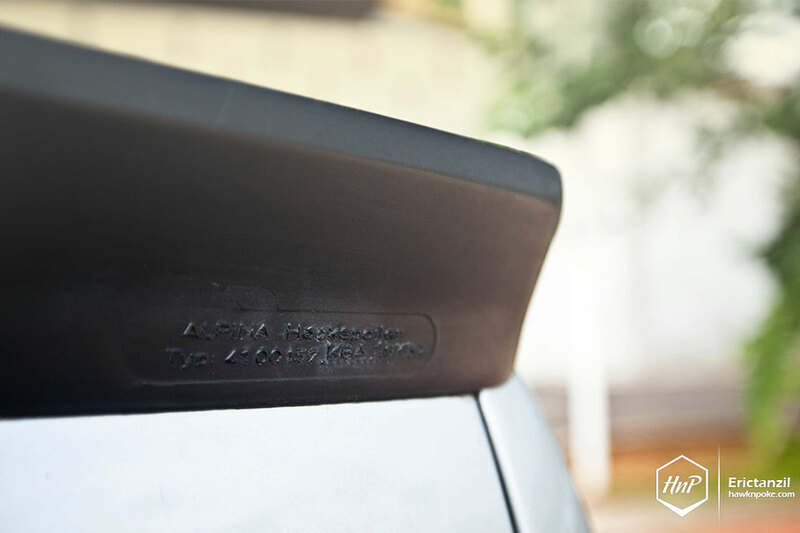 Fitted with M Technic 1 kit and complimented by the Alpina deck lid, the Salmon Silver Bimmer is now looking mint from all angles. 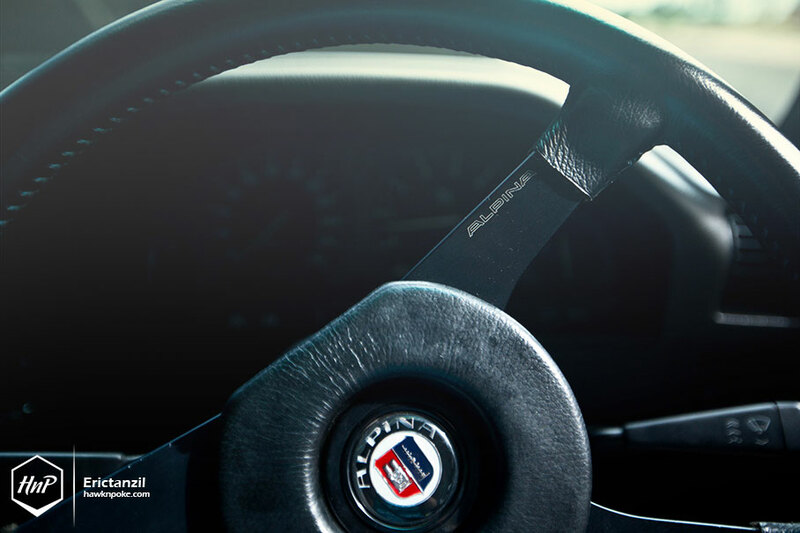 The interior has also been completely rebuilt with the addition of Alpina steering wheel and shorty ZHP shift knob. 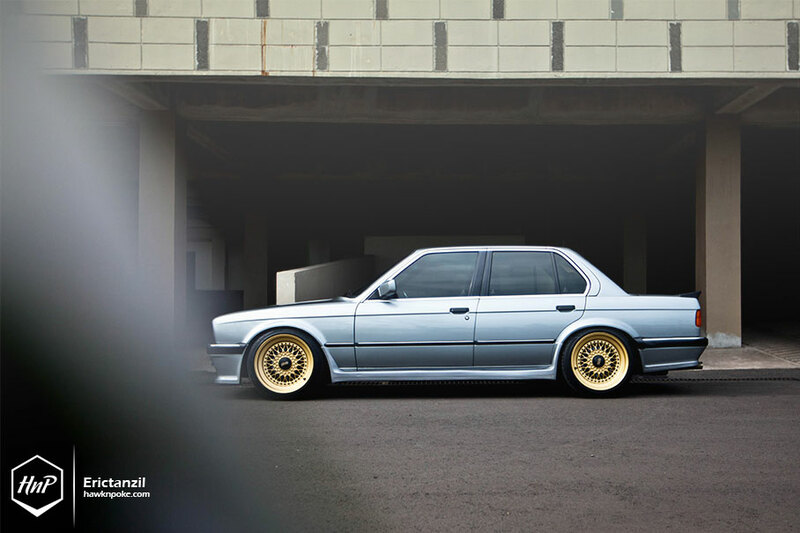 Being Mr Rare Rims, he obviously has a pretty long line-up of wheels available to be fitted to the E30. 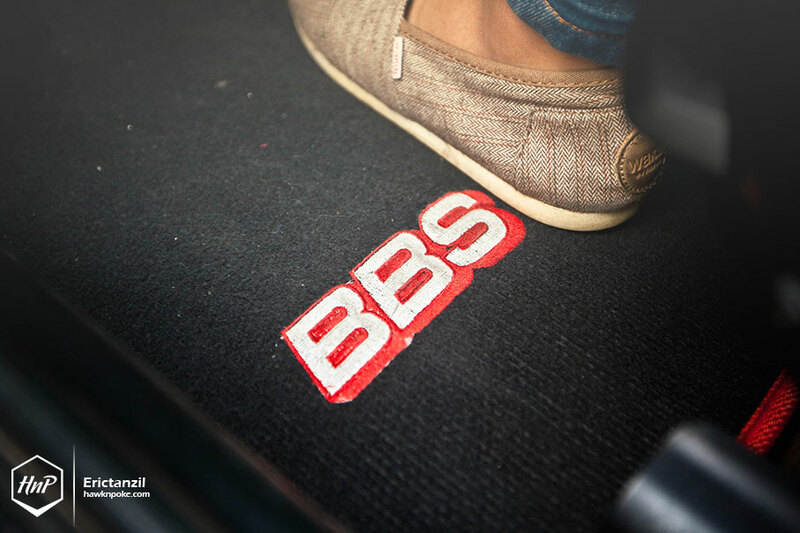 From OZ Mito to the legendary BBS E50 that was used in the DTM race car. All the options were nothing short of extraordinary. 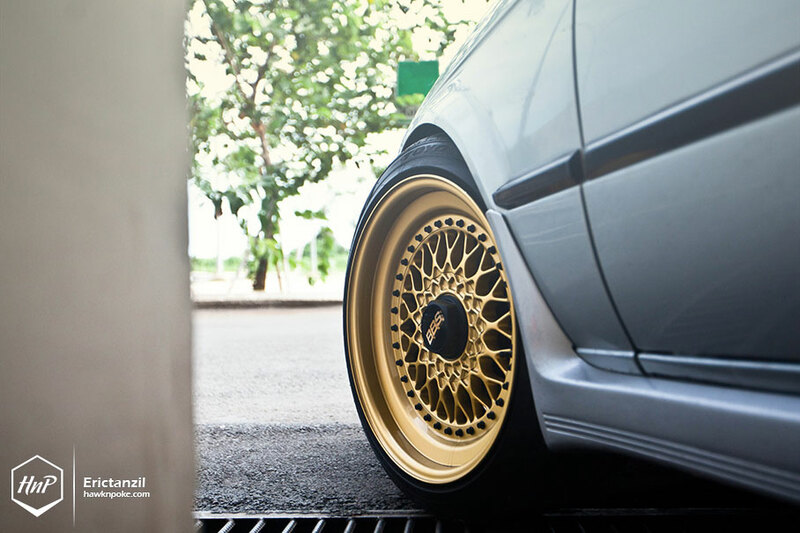 For this photoshoot, he’s wearing BBS RS198 17″x8.5. 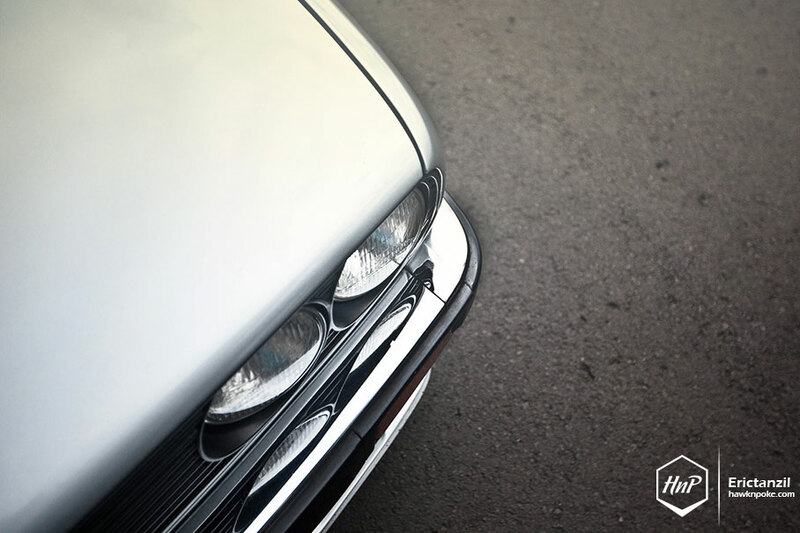 Despite being spec-ed as a 17″, the face of the BBS is actually size 16″, allowing the use of step lips to add an extra depth to the perfectly-retro wheels. 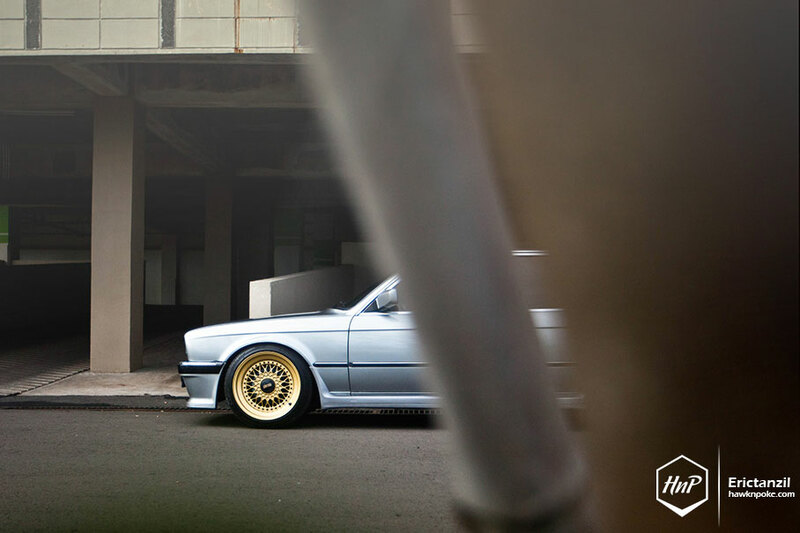 To attain the perfect fitment for the E30, Mr Rare Rims installed custom-sized barrels and lips for the BBS. Final result is 17″x8.5-9.5, wrapped with Toyo Proxes T1R 215/40 235/40. 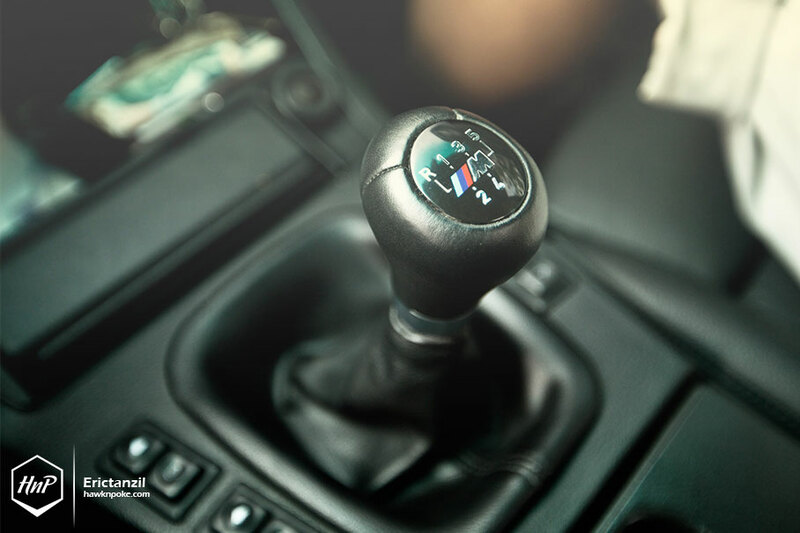 With such an extensive knowledge for wheel measurements, he managed to get the perfect flush looks without the use of any spacers or adapters. Actually the car still has plenty of mods underneath its subtle looks. But due to my respect for the owner, I can’t list them here. Mr Rare Rims is rather mysterious; he likes to keep his recipes as secrets!